One off lessons which explore how to use MinecraftEdu in the classroom. 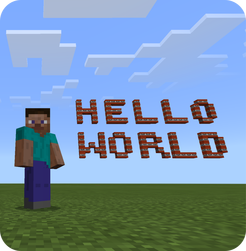 One off lessons which demonstrate how to use Minecraft: Pi Edition in the classroom. It is well documented how games such as Minecraft can be used as a hook to engage reluctant writers. This post explores a few of my favourite examples.